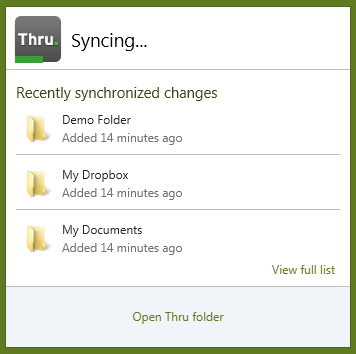 A dashboard will open and show the status of your synced Thru folders. This dashboard will also notify you of sync errors and warnings. 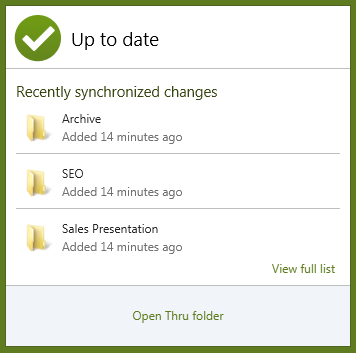 When syncing is finished, a popup notification will appear in the system tray to notify you that actions have been made in your synced folders.